Hello, friends! 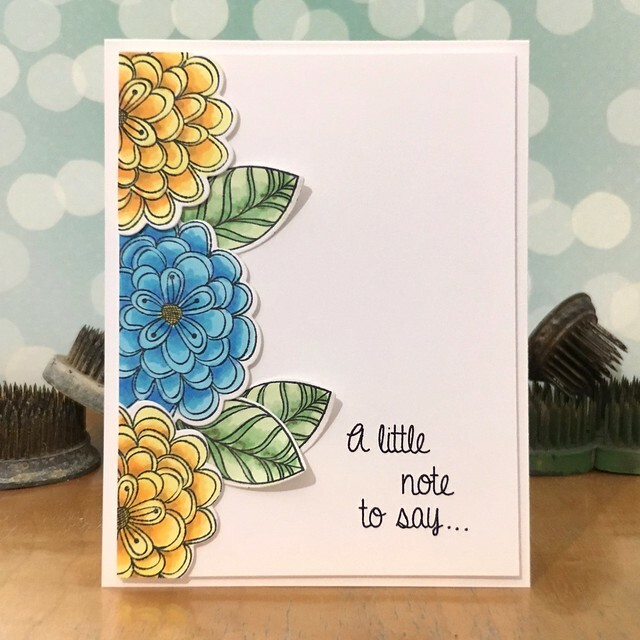 I have a brand new CAS-ual Fridays Stamps card to share with you using the new Pretty Posies stamp set! I am IN LOVE with these stamps and dies! In. Love. I tell ya. 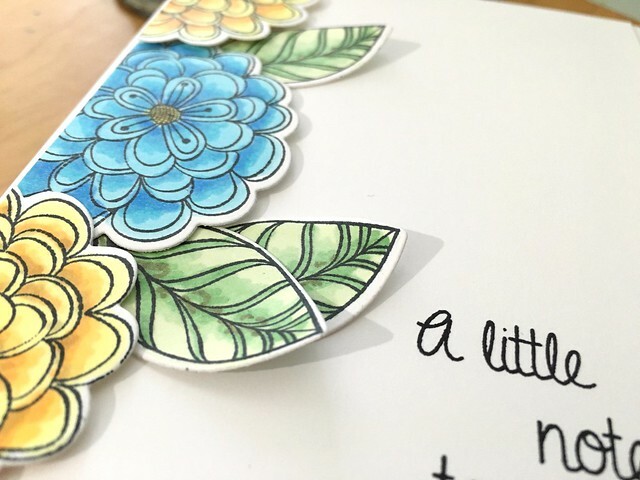 I colored the flowers with Copics and then die cut them. I adhered them to my card and trimmed the edges for a fun border look. Shhh... don't tell anyone, but I only used two flowers total - time saving AND awesome looking! WHAT?! Totes. For reals. I used a bit of adhesive on the base of the leaves so I could curl up the tips a bit. I love how that adds a natural, finished look to them! These stamps are currently out of stock, but check out the CAS-ual Fridays Stamps blog for info on how to secure yours now! 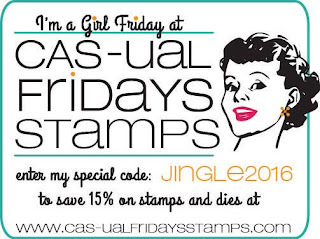 Also, don't forget that you can save 15% off your CAS-ual Fridays Stamps order using code JINGLE2016. That is one heck of a good deal, ya'll! Love your border of beautiful blooms! Pretty card!